Souvik had to leave our exciting holiday after the dive, coz someone in this family has to work, right? 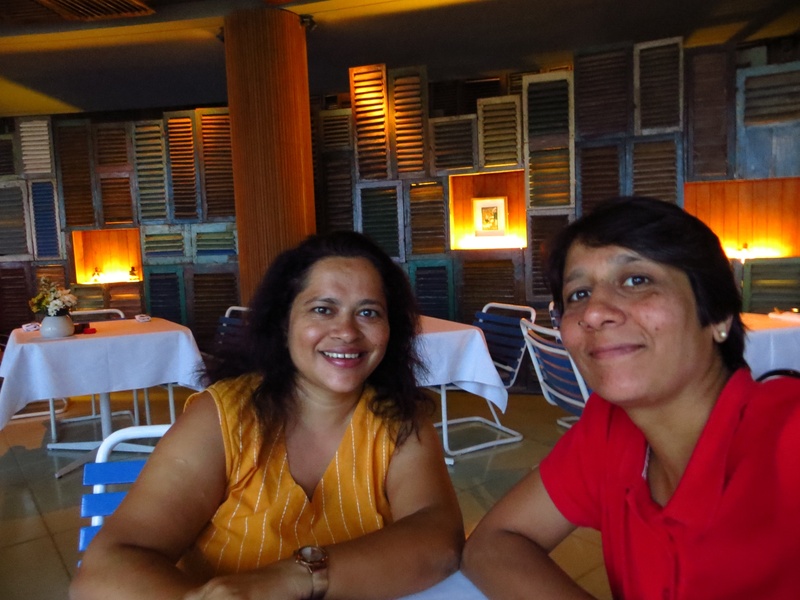 Uju & I hired a motorbike – the advantage of staying in Seminyak (Villa Anaya) was that we were a short ride away from all the shops and restaurants in Seminyak. Which is what we did every evening, wandering in town on our bike. 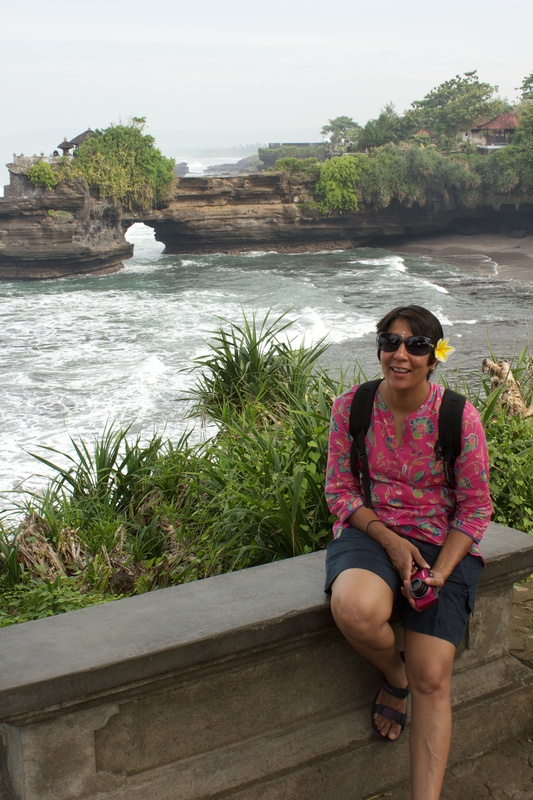 Monday morning, we decided to head to Uluwatu. 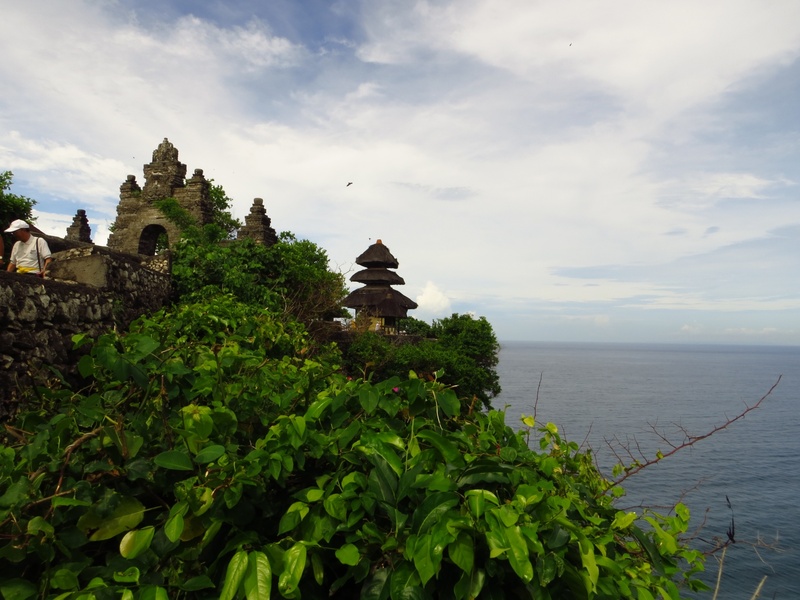 I had heard so much about this temple in the south of Bali, with its fabulous setting on the cliff and waves crashing into the rocks below. 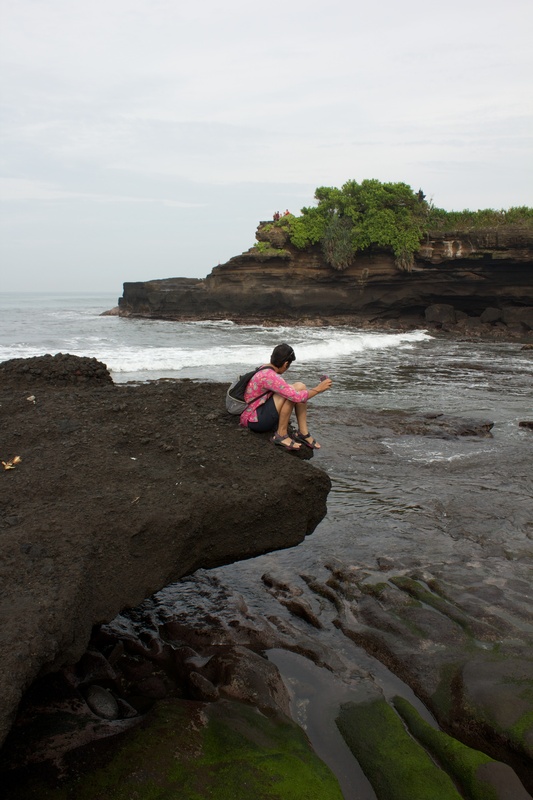 Long but pleasant ride from home, but a rather disappointing site in comparison with Tanah Lot which is more commercial but more dramatic too. 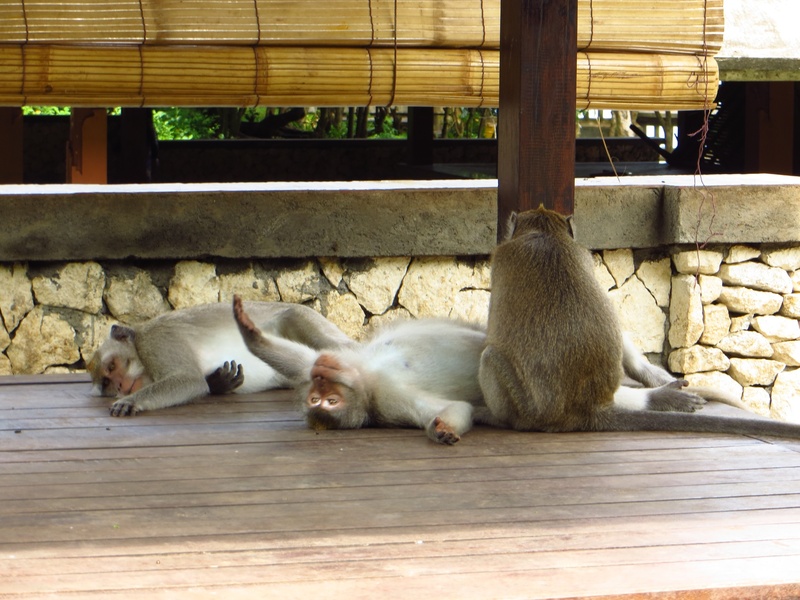 As it is, you can’t enter any Balinese temple on any day except on those special festivals, so the only thing to do at Uluwatu is to admire the antics of the monkeys, and protect your belongings from them. So we walked around hatless, sunglass-less, water-less (all stored in our backpacks), and didn’t last long there. Revived by some kelapa muda (fresh coconut water), we headed back all the way for lunch at Buzz Cafe. I wanted a good sunset view (such are my wants! 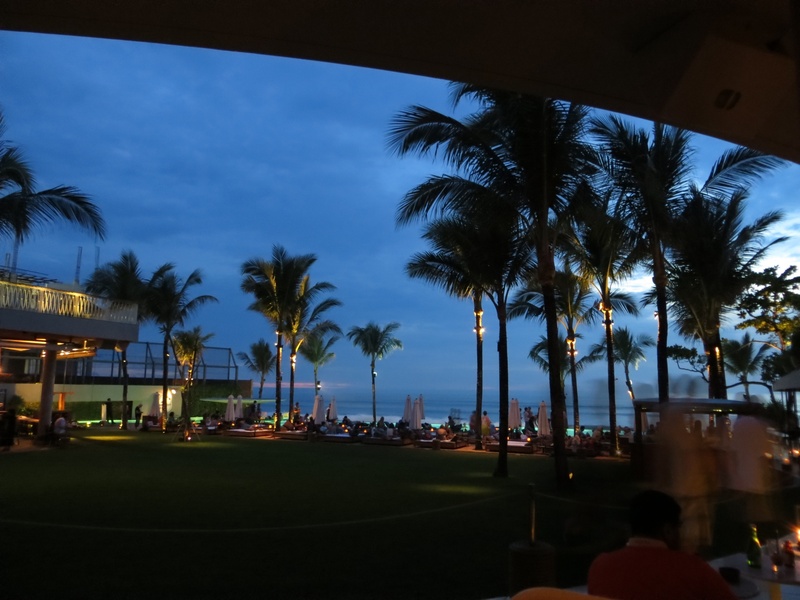 ), Potato Head Beach Club was on the wishlist for a long time, and that was how we spent Monday evening. Potato Head is that kind of place I hate to love. Such a nice ambience and good food and drinks, but the people and their policies give me a nasty feeling, like I’m a bug about to be squashed. Well, now I’ve been there and done that, and Uju & I had a great time laughing at their pretentious-ness. 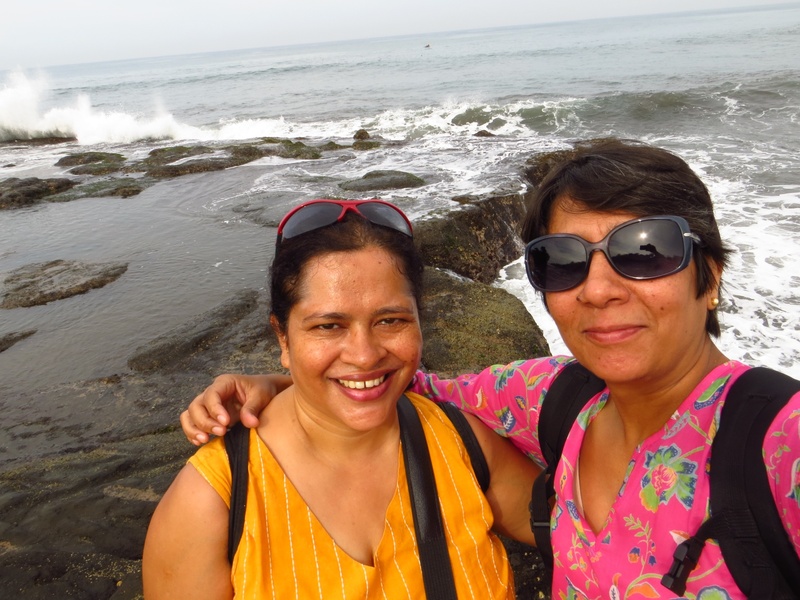 we rode about 20 km to Tanah Lot, spent a couple of hours taking in the sights, and shopping. 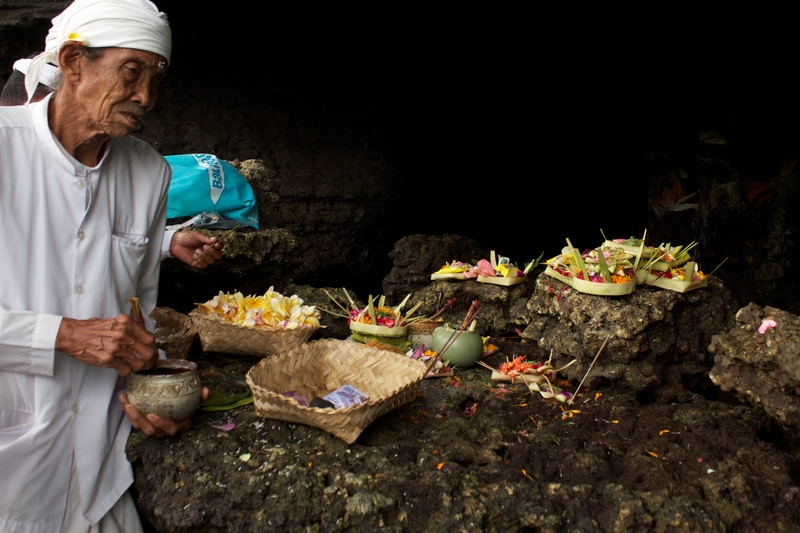 We were lucky with the tide, and could cross over to the temple where the priests made you go through a ritual ‘purification’ before we could ascend the few steps on the side. Interesting! 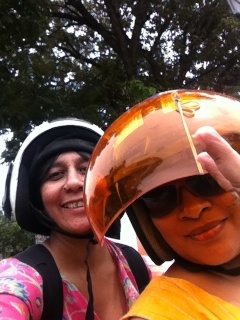 Shopping took longer than we planned, then it was a rushed 34-km ride to Ubud. Luckily we found that ‘cat’ for Aparna, and a few more interesting toys for Uju, but she lost her very expensive sunglasses somewhere in Ubud. I like to say that the ‘devil lost her Prada’ but retained her humour, which is a strong indicator of how good the holiday was! coz someone in this family has to work, right? right? right? Where’s that post on …? Would you like an email pop? Get updates in your mailbox! 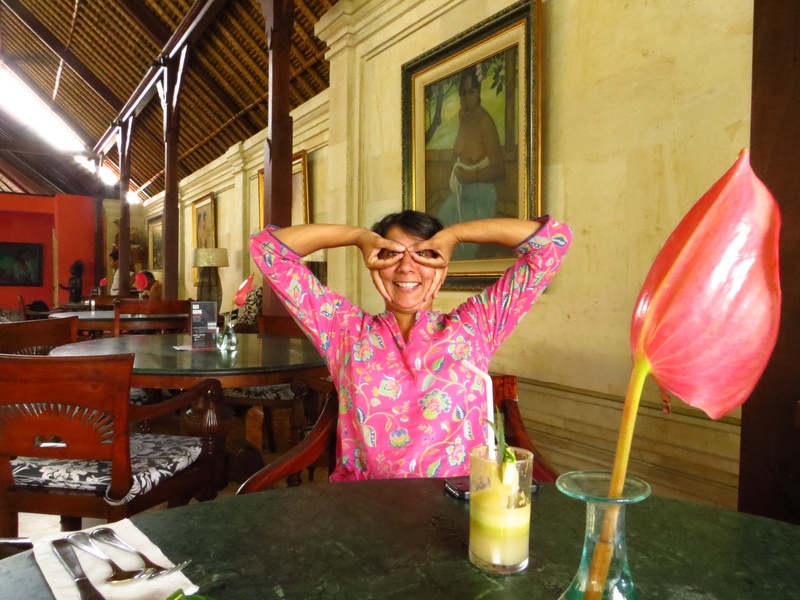 Yogyakarta – Can I do yoga there?